All statistics displayed in the Match Centre are powered directly by Opta, the world's leading live, detailed sports data provider. If you believe there to be an inaccuracy with the data being displayed on the Club website, please feel free to let us know by using the ‘Feedback’ icon in the bottom right-hand corner of your screen. Any feedback received is greatly appreciated. Live streamed commentary provided by the BBC is available for all Premier League and most other first team matches. This does not include friendlies, however these are often streamed live through Spurs TV. 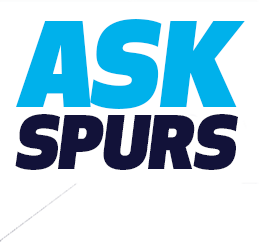 This service is only available to MySpurs and One Hotspur members. Simply come to the Match Centre when a match is being played, log in and listen! Please note, during half-time there may be no commentary provided, so the audio feed will be silent/static.